In 2008 Paul joined SKY NEWS as a daily contributor, which quickly evolved into his own weekly show 180 – The Other Side of the News. In 2010 Paul Murray LIVE launched on weeknights and quickly became must watch TV for many of the nation’s business and political leaders. Paul started out working as a radio reporter in Sydney highlighted by winning awards for his coverage of Sydney’s Bushfires, the federal election and the collapse of Ansett. 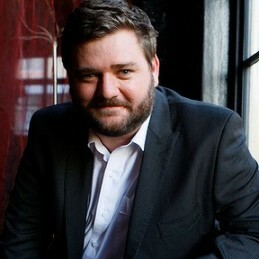 In the years since he has hosted shows on NOVA969, Triple M and 2UE. He’s had more than a hand in TV also. In 2003 he started making regular appearances on the Seven Network’s Sunrise before becoming a regular guest on Weekend Sunrise. Away from work Paul is married, is a big Wests Tigers, V8 Supercar and New York Yankees fan. He is also a self-professed film buff who’s having the time of his life at work and at home. He is one of the most informed keynote speakers and panellists in Australia on both politics and business.